Recently, there has been lots of complaints from users of Yahoo mail services. These complaints are mostly as a result of the various security hardening implemented by Yahoo. Users visiting from new mobile and/or insecure/untrusted locations are usually greeted with captcha or other types of security verification. In worst cases, users visiting with dynamic IP addresses from most countries are logged out intermittently. These and many more can be stopped with any of these Yahoo mail proxies and/or proxy alternatives. Since our primary concern is – solving these challenges; we aren’t going to limit the content to only proxies, but the best methods for getting into Yahoo services securely. We are going to start with Yahoo mail proxies and then proxy directories, Web proxies, top free VPNs and email messaging clients. 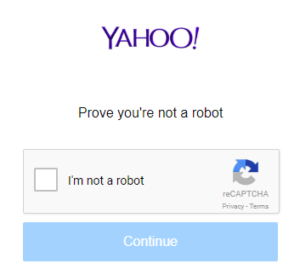 In all, this section will come in handy for those looking out for free Yahoo mail proxies, means to overcome Yahoo account login challenges, government censorship and/or ISP restrictions. Even though we’ll not recommend this option for most users, it is the most popular solution for internet geeks. Users with a difficult device or from a restricted location can get into Yahoo services with any of these free proxies. Since free proxies are updated from time to time; We aren’t going to post some free proxy addresses that’ll get blocked in no time, but rather give you the best sources for frequently updated proxies. To get a free proxy to use with Yahoo mail or any other service: Simply visit any of the addresses below and copy your favorite proxy address to your default browser. https://www.us-proxy.org (for free US proxies that are regularly updated). https://www.proxydocker.com (for top free proxies from US, UK, Brazil and etc.). Launch the browser and click on Menu (the 3 horizontal lines from top right section). Locate Options and click on it. Scroll down to where you have Network Proxy and click on Settings. 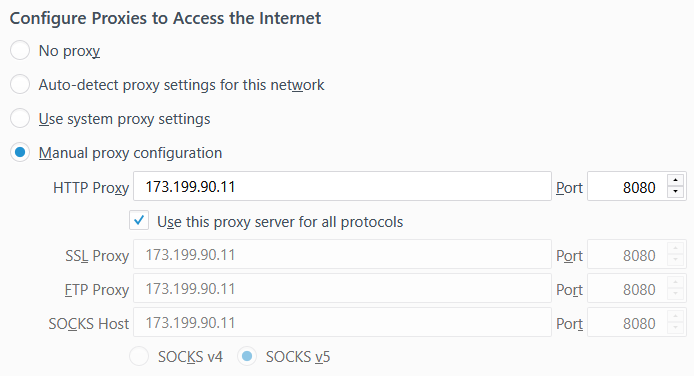 Enter the Proxy IP address and port you’ve collected above (eg; 173.199.90.11 || 8080). Tick the Use this proxy server for all protocols and click OK to exit. That’s all. Your browser would start loading from the country with the chosen proxy server. Use this same template to set up a proxy server for other internet browsers other than Mozilla Firefox. Are you having challenges with getting into Yahoo mail from a blocked location or a difficult device? Well, it is a common challenge to those traveling outside the state or using an unrecognized device. These free web proxies would let you bypass such restrictions, enter captcha correctly, prevent ISP ban and/or watch your favorite videos without any restriction. https://www.kproxy.com (a great option for Glo, 9mobile, Mtn, Airtel, Etisalat and other ISPs that changes their network-assigned IP addresses often). https://www.zalmos.com (another solid web proxy option for Yahoo services). https://www.my-proxy.com (a decent option for most persons). If you are looking for a more solid, secure and permanent solution, then VPN is the answer. This is because you can keep up with a particular country, city, IP address or location with VPN services. Most free VPNs are limited by bandwidth, while some lets you surf for as long as you wishes. They’ll come in handy for those going to vacation in China, Iran, Russia, Nigeria, Pakistan, and other countries with restrictions and/or poor cyber-reputation. Although we’ve given an exhaustive list of 25 FREE VPN SERVICES in our earlier publication, we’ll like to reiterate the best option for yahoo services. They normally work ‘out of the box‘ without the need of altering browser’s settings as seen in the Yahoo mail proxies section above. 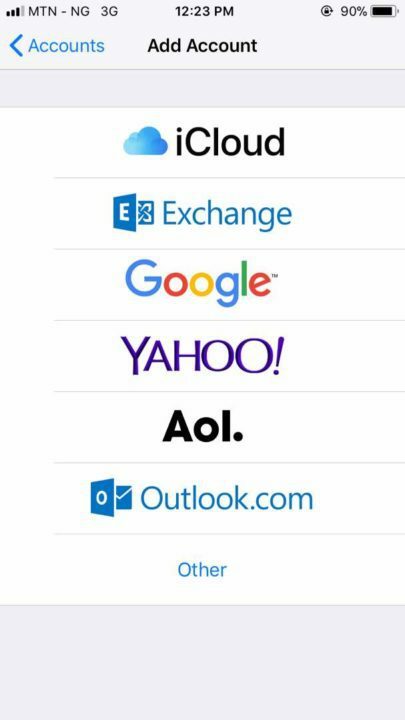 Note: For smartphones, tablets and PDAs, ==> simply search for these free VPNs in your apps-store, download and use them to get into Yahoo services w/o restrictions. Full download link for PC/Mac version is provided in the free VPN list post linked above. Since most of these challenges are from mobile, I usually advice users to go with the built-in email messaging client. Android, iOS, Windows mobile (WP) and most feature phones do come with a built-in email communication client. For Android, simply locate the Mail icon or go from ==> settings ==> accounts, for older devices. Apple iOS users can do this from settings ==> Accounts & Passwords ==> Add account ==>Yahoo. It is similar procedure for other mobile devices. In fact, we created a guide on how to use Google Mail Fetcher for managing multiple email addresses. For PC/Mac users, you can make use of any of these popular free email communication clients. 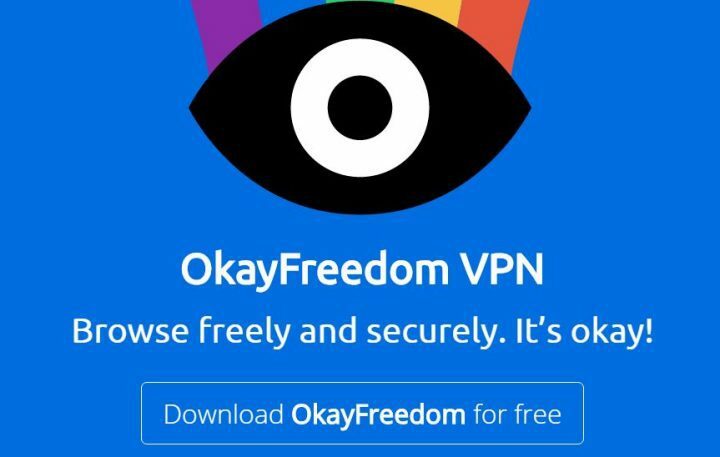 They all work with free VPN services (when active) and can help keep your real location private when on transit, on public Wi-Fi or in countries with censorship/restrictions. Microsoft Outlook (default for PC) or Mail app (default for Mac OS X). While we have discussed in details the best methods to solve Yahoo mail login challenges, we’ll like to treat some issues that can arise from using these solutions. For Yahoo mail proxies, the best one to use is the one that’s nearest to your last login location/city. This would help reduce the possibility of triggering Yahoo login’s security checks. For VPNs from a completely new address, you might be asked to verify a code that’ll be sent to your secondary email address or phone number. It is important to have these handy when trying to login from a completely new address. Also have the answers to your security questions as they’ll be required for most countries. The closest solution to fixing the annoying 12 hrs login restriction to those that forgot the answer to their security question is to Login from your last location or mobile device. Note: Account login is restricted for some hours only when you wrongly guess the answer to your security question many times. These are the most solid options for those looking out for means to overcome Yahoo account login challenges, censorship and/or ISP restrictions. Have you ever been in a situation where you need free Yahoo mail proxies or have some other solutions we didn’t cover in this guide? Please do share with us in the comments section below. Good list of Yahoo mail proxy options you’ve got here! I am using Samsung galaxy s7 and also having the same issue. Will this tip work on my mobile also? I have searched on the internet but didn’t get any useful tip till now. hope this will work otherwise all the mail which come for my ms excel customer support number will be gone. Can someone help me figure out why this won’t work over an SSH tunnel or VPN? Everything works like its supposed to on the local network but through the tunnel I get an instant connection reset in Mozilla Firefox. When I try to navigate to the router IP of 192.168.2.1 I get an instant connection reset, but when I append the port 81 (192.168.2.1:81) it get’s me right into the dd-wrt interface.